These interesting hold-downs caught my attention last autumn. 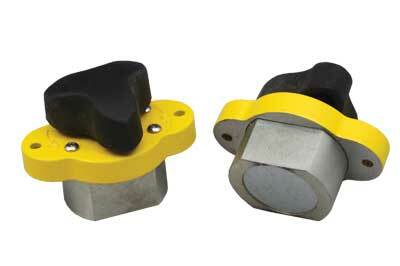 They are powerful magnetic holding devices which can be 'switched on or off' by rotating the black handle. I believe there is a pair of rare earth magnets in each unit and that rotation causes the poles to cancel each other out. Magswitch is heralded by many as 'the hottest breakthrough in magnetic switching technology' gaining a good reputation in various engineering and industrial environments. The system has some great advantages so a range has been developed specifically to cater for the needs of the woodworker including featherboards, hold-downs and fences. I decided to buy a pair of the larger MagJigs, which have 150lb of holding force. The plan was to make a small fence for my ancient bandsaw, which had arrived with none. Being too mean to have a proper one fabricated I had used a 5ft length of 100 x 63mm oak (Quercus spp.) for many years. The 150lb requires a 40mm hole, so I bought a 40mm Bosch carbide-tipped boring bit, as I was planning to use it mainly in MDF. This seemed expensive but not nearly as expensive as a Forstner bit, which would be ruined by the abrasive nature of the MDF. The plan was simple: drill some holes, design a suitable fence, glue on some lippings and flush them down. What could be simpler? It is strange how many jobs take a downward path as soon as the practical work begins. That which seemed perfectly straightforward and elegant in the mind can become hopelessly convoluted in practice. The instructions made it clear that, being Australian made, the units were designed to fit into imperial thickness plywood or MDF. Apparently they still have 3/4n boards in Australia? I measured my MDF at 18.08mm and figured that some plastic shims made from the covers of ring files would take up the slack, with 0.1mm thick paper used for fine adjustment - 3/4in is 19.05mm. The real shock came when I tried fitting a unit into a freshly drilled hole, which I made with the new TCT bit. It would not fit, not at all. I was extremely downhearted and more than a little annoyed. The close fit without the slop that I had in mind was receding rapidly. After careful measuring, I discovered that the Magswitch was the culprit, being very slightly oversize. My measurements were made with precision Mitutoyo callipers: one barrel was 40.14mm in diameter and the other was 40.11mm in diameter. Is it surprising that a product with a name similar to Abel Magwitch, should be causing trouble? I have no idea why this should be, and having contacted the vendors and got no response, I am still none the wiser. After some time, I noticed the two flats on the barrel of the device. Might it be possible to stretch the hole a little, in one direction, if the surrounding MDF could be relieved with some jigsaw cuts? 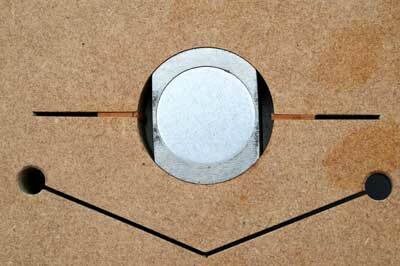 This idea may have come from some expandable guide rails, which I had once seen on a tablesaw mitre gauge. The photos here show how the holes and cuts were made. The stretching was achieved using small cherry (Prunus spp.) wedges which were tapped in, with a little glue, until the MagJigs dropped snugly into their holes. Two kinds of stretch were used: the ones adjacent to an edge - drill press fence - were easier than those in the middle - bandsaw fence. 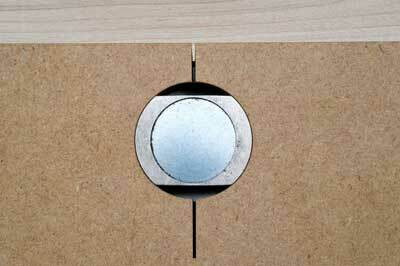 There are certainly simpler solutions such as filing, paring or sanding the sides of the holes. A small drum sander could be used, but I wanted a snug, precise result and was very pleased with my final cunning plan. The fence gets used for everything except large work where we convert to the oak beam. It is much quicker to set up and the MagJigs are a delight to use. The fence is slid into position, measured if necessary and the handles turned. I mentioned earlier that the new fence was adjustable, for feed direction, so when it was finished I had to make adjustments to get it right. On my bandsaw, feed is not square to the table edge. The ideal feed direction, i.e. 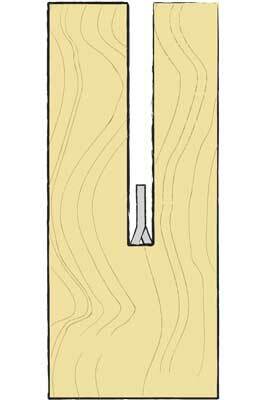 fence direction, is found when the back of the blade is positioned directly in the middle of the kerf. Using thin pieces of light scrap, you can demonstrate what will happen if the feed is too far right or too far left from the ideal direction. You will need some straight-edged scrap to hold down so that it acts as a fence. If the fence is twisted 5° to the right and the work is fed gently, you will see the blade is being forced sideways away from the fence. Ultimately, breakage might ensue. If the fence is twisted 5° to the left and you grip the timber gently, it will drift away from the fence and the workpiece will be ruined. Mark a line parallel to the right-hand edge of a thin piece of ply or MDF - say 150 x 450mm - about 50mm in from the edge. Saw this line slowly by hand, adjusting the feed direction until it resembles the diagram above. A finger on the left hand can remain securely anchored to the table, acting as a point fence. Or, if you wish, you can clamp something to act as a point fence. The plan is that by the time you have sawn half-way along your pencil line, feed direction will have been established. Donâ€™t let the wood move! Turn off your machine, keeping a firm hold. 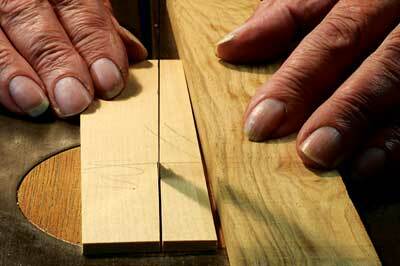 When the blade has stopped running, lay a long straightedge or ruler against the right side of the test piece. I like to make three marks on the table, as shown in the diagram opposite. These are marked with a fine felt tip-pen onto short pieces of Scotch Magic tape. De-wax the table surface, using a suitable solvent, before sticking down the tape. Scotch Magic tape is the one you can write on with pencil or ink. The three marks are in a line, which is parallel to the straightedge. Any fence/feed direction that is parallel to these marks will be correct. 1. When setting the oak beam, I roughly position it and set the desired measurement from the fence to the blade. 2. Next, I measure from the fence to the central ink mark. 3. Each end of the beam is then positioned, in turn, at a similar distance from its ink mark, and clamped. 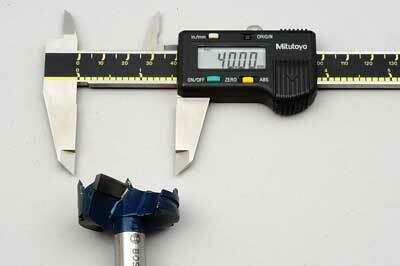 If required, a final check of fence-to-blade measurement can be made. 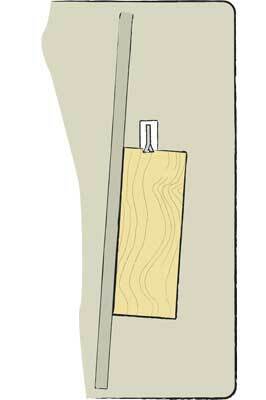 Small adjustments are achieved by slacking one clamp and tapping with a large dead blow hammer. Sliding the magnetic fence into place and turning a couple of knobs is a great deal quicker. If the set of your bandsaw blade is damaged, by hitting a stone, nail or even a billet, the feed direction may be altered in that moment. 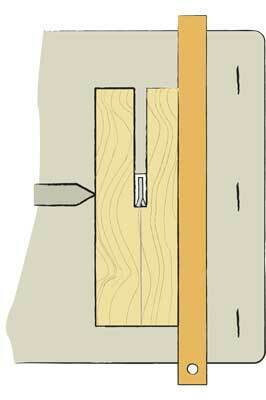 It is easy to perform the sawing test again, by simply sawing a piece of timber against the fence. Observe closely, the position of the blade in its kerf. The back of the blade should not be touching either side of the kerf. This applies to circle cutting as well, and this explains why narrower blades are needed for tighter radii. 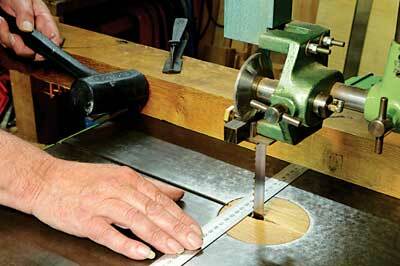 I remember sawing a particularly important component of my sofa table on a friend's undersized bandsaw. The timber was 50mm walnut (Juglans spp.). 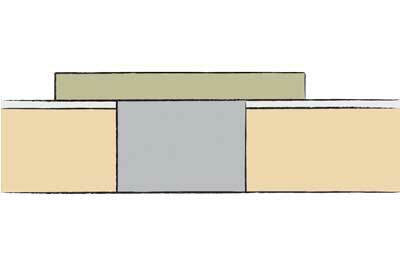 The blade was too wide for the radius of cut, and the surface produced was hollow and out of square in its thickness. A similar thing happens if a jigsaw is pushed too hard. The piece was rescued but I vividly remember the feeling of doom when examining the cut. While I was at it, a drill press fence took my fancy. I have a very good Meddings pillar drill, but the engineer's-style table is difficult to clamp to. However, this has had very little use compared to the bandsaw fence. 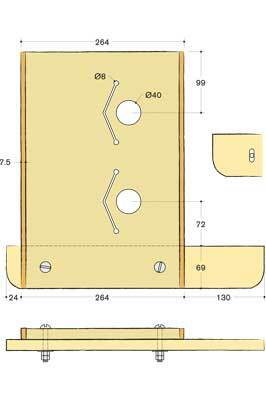 A spring finger/featherboard version for the router table would be a great aid, both to safety and finish. The Editor kindly lent me the commercial spring finger starter kit. 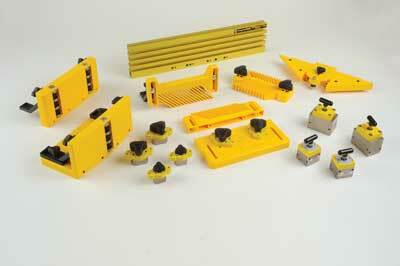 This is referred to as the 'starter kit' as it will accept a whole range of extra fittings. The MagJigs were oversized here, measuring 40.14 and 40.10mm. The spring fingers are reversible. They help to guard against kick back as well as holding work firmly against a fence. 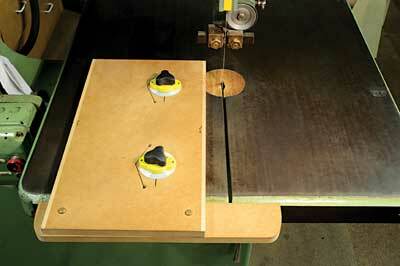 The two removable 150lb MagJigs will fix securely to any steel or cast iron table. 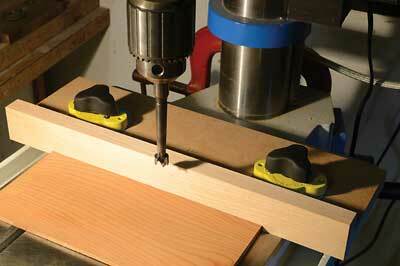 They are useful on router tables, bandsaws and tablesaws. The kit works well but seems expensive at around Â£75. In a production workshop where time is saved regularly, they will probably pay dividends, but there might be less appeal to the amateur. How difficult is it to make a wooden set of spring fingers and use a clamp to fix them? Clamping access can be difficult on some saw benches and perhaps this is where the magnetic version comes into its own. 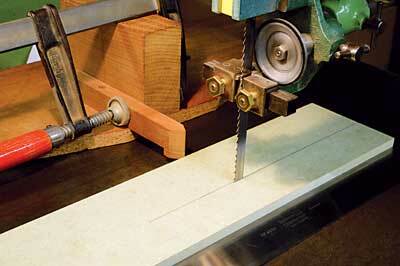 There is a resaw guide, for use with a bandsaw or bobbin sander, which has a single row of vertical rollers. There is also a guide with two sets of rollers, which might free up a hand when working with long pieces of timber. A thin stock guide attachment, which acts as a hold-down as well as providing sideways support, is a useful and unique aid. 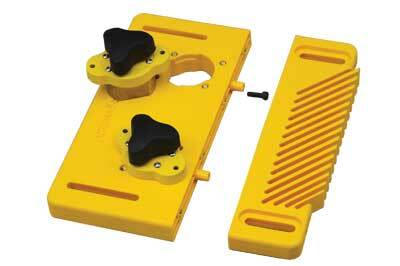 A vertical featherboard and a universal featherboard are also available. A universal track completes the system. The latter item 'accommodates all hardware on the market. 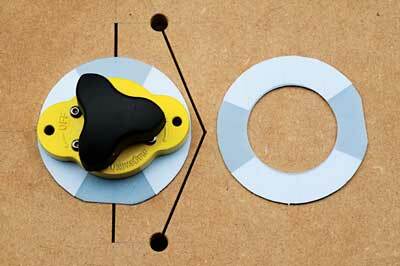 Make your own jigs, fixers, stops, fences, zero clearance fences and more'. This is a direct quote from the marketing blurb, and I could not possibly comment, as I have not played with these items.